Includes 2 ice packs and an insulated mailer to help keep your liquid yeast cold during transit. The Insulated Mailer option is a great way to extend the length of time your ice remains cool! These special envelopes contain self expanding foam, which creates a form-fitting container that protects and insulates liquid yeast. This upgrade includes the Insulating Envelope and 2 Ice Packs. This option fits a number of yeast vials, pouches, or cans, and is made from thick foam insulation. Because different yeast take up different space, each producer will fit a different quantity in this mailer. See the chart below for what quantity of what yeast will fit inside. 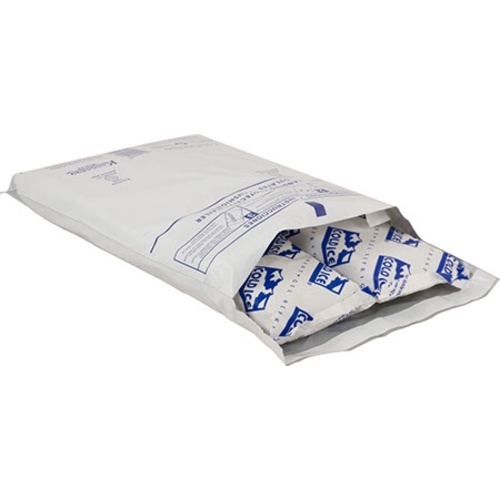 To purchase, simply add however many Insulated Mailers will be needed to contain however many yeast are in your cart. Please Note! Any additional yeast will be shipped outside of the mailer. This option includes ice, and no additional ice needs to be purchased. To keep my yeast cold! Keepin' 'em cold while shipping. To keep my yeast cool. Living in Key West live yeast must be kept cool in transit. To ensure my yeast arrives alive. I like my yeast healthy and happy. I like to keep my foot cool. So my yeast doesn't die during shipping! Hot outside. Let the yeast arrive alive! So my ML bacteria will not be DOA. ship my yeast. keep it cool. Must for shipping liquid yeasts! I want my yeast to live. If I order 2 liquid yeast packets. Do I need 2 Ice & Insulated Mailers ? BEST ANSWER: Hi Nicholas - On the provided item product page, in the description, there is a small table referring to our yeast and how many ice packs you would need for each brand of yeast. This mailer will keep your MLB at a proper temperature for 2 days at least in the mail. Works well, no problems. My 2 packs of WLP802 arrived in two days and the yeast was still cool when I opened the package. It is large enough for more than two packs of WLP. Kept 3 smack packs very cold, will order again. If you order liquid yeast with the packaging, I suggest you don't do in the summer (which is what I did). It's just a sandwich of insulation with the sides offering nothing. The ice pack was completely melted when it got to me. Again, this was July or August when I ordered, but that's why I ordered the insulated pack. If you find that your yeast(s) are shipping from a different address, as mine were, make sure it's only a 2-day delivery window. My delivery window was 5 days, but only revealed after payment...the yeast was probably impacted given my slow ferment, even with a starter. I re-learned an old lesson: buy fresh, local yeast. What’s cooler than being cool? Ice cold! Alright alright alright alright. That’s what the yeast say as you keep them alive with this necessary ice pack. I've seen people whine about getting warm yeast, but anyone with common sense would realize the purpose of this isn't to get the yeast cold, it's to keep the yeast as viable as possible in transit. The yeast wasn't cold when I got it but after building a solid starter, I got a very nice Marzen and munich helles from the lager yeasts that were shipped in this packet. I'm going to submit them for competition and will be using one for a homebrew club duel...will update with my results. Must have if you live in a warm region. These work well and will keep you yeast safe until it arrives. I would have given them a higher rating but I live in the south where temps get in the upper 90s and triple digits pretty regularly. By the time it makes it to me it's nearly ambient temp. I haven't had any issues with the yeast viability from any of the packs I've purchased but would like them to still be cold. Maybe add a few more ice packs if you live in the southern states. Ordered 2 packs of Imperial Yeast in the insulated envelope. I also paid for an additional ice pack to stuff it full. Yeast arrived nice and cool, close to fridge temps I'd guess. I did place a larger order, so this was inside an additional box with grain, etc. That may have helped. For reference, I live in the Central Valley in California, within the 1-day shipping radius. Weather during transit was in the 90's. Very helpful when ordering liquid yeast. Arrived hot with the nearly dead yeast. Nuff said. When arrived the pack was warm as was the yeast. I would probably still order it next time in any attempt to keep the yeast as cool as possible. Yeast arrived very warm. To be fair It is the middle of summer, but still, the ice pack and mailer weren’t very effective. We make diligent efforts to ensure temperature sensitive ingredients arrive as they should. 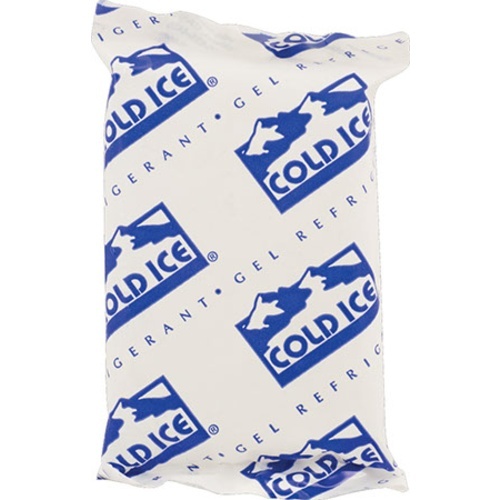 These ice packs are a preventative measure and are not fail safe against the elements. Please give us a call at 1-800-600-0033 or email us at info@moreflavor.com so that we can assist you. We are here to help. Cheers! this is the last time I will be buying a liquid yeast from you. the yeast was barely lower than air temp. when I opened it. this has happened multiple times. I received it the day after shipping and our high temp. for the day reached 80 degrees. also I live in the state this was shipped from. Hello Frank - We make diligent efforts to ensure temperature sensitive ingredients arrive as they should. These ice packs are a preventative measure and are not fail safe against the elements. Please give us a call at 1-800-600-0033 or email us at info@moreflavor.com so that we can assist you. We are here to help. Cheers! Nothing in the the insulated mailer was cold or even cool. They were all expanded to their limits. I doubt the yeast will be viable. Don't pay extra money for this product it doesn't benefit you at all. I ordered this item and yeast on a Sunday knowing it wouldn't be shipped till Monday. Ad arrive Wednesday. fastest it can get to me. It still did nothing. The bubble wrap did a batter job then this thing. Hello Stephen - We make diligent efforts to ensure temperature sensitive ingredients arrive as they should. These ice packs are a preventative measure and are not fail safe against the elements. Please give us a call at 1-800-600-0033 or email us at info@moreflavor.com so that we can assist you. We are here to help. Cheers! Love these ice/insulator bags. They keep the yeast nice and cool during shipping. The yeast was very good when I used it. Ordered for two liquid yeast packs, with standard shipping. Package was delayed during shipping. Yeast was room temp when received. Placed into fridge until brew day, but it smelled rotten and rancid when opened. Good thing I keep a supply of dry yeast for those "oh crap" moments. Did not remain cool. Was thawed out completely in delivery. This was completely thawed out when I got it and I question the yeast. It was not more than 80 degrees during shipping. Hello Rodney - We apologize your yeast did not arrive at an ideal temperature. This product is intended to prolong the viability of yeast, and is not foolproof. Yeast arrived cool in warm weather. It only takes 2 days to arrive but my 4 packages of wyeast were still cool when they arrived. The yeast took off very well when I used it. Yeast arrived in very good condition will useagain. You want to use live yeast? And you are ordering during warm months? Then you better protect your yeast and therefore your investment by keeping the yeast as cool as the underside of the pillow whilst in transit. This did not let my yeast get above 78 degrees however I would not recommend doing this if its particularly hot and the package is going to have to sit outside for very long. My yeast is working great but I feel like I cut it pretty close. Useless for me as my Imperial Yeast arrived borderline hot. It’s probably useless as well. A good idea that needs to be cold longer so when it's delivered it doesn't warm up too quickly. A good idea but when it arrived the ice was at outside temp and the yeast was also warm. Thankfully it wasn't too warm and is fermenting fine. It didn’t last very long. By the time I got it it wasn’t really cold anymore. I was impressed buy the cold packs and the insulation. The cold packs were still cold when the package came. I think they could stay cool another day in Spring weather. I will order yeast again and this package with it. Not much to say other than the yeast arrives chilled. In spite of using two ice packs and very good packaging, the cold didn't last. It's impossible to say what % of the shipping time was at reduced temperature, so hard to say whether it's worth it or not. The chilliest of chill ice packs. Once they are done saving your yeast, use them to chill your beer cooler or lunch bag. Boom! Granted, I did not order in the heat of summer, but I had my concerns as it was ordered and shipped during an east coast spring warm up when into the 70's and low 80's. Unit arrived and the yeast was refrigerator cold. Not sure if I would order this in the heat of summer or over a weekend where it may sit for a while before being moved on through the transit process, but I have had great luck with it. Received about 7 white labs yeast in this packaging . Based on the web description i was hopefulll it would survive the summer heat . The packaging consists of 2 regular small ice packs wrapped in a diaper like foam blanket. The packaging was sealed on 3 edges and one edge was open , this negated the benefit of the insulated wrap. The yeast packages were warm and inflated. The ice packs had warmed up and were measured at 100 degrees. This packaging is no better than the regular packaging in the way it was used. In my opinion with the end left open it is probably worse. HOWEVER as usual MOREBEER was very understanding and issued an immediate refund.